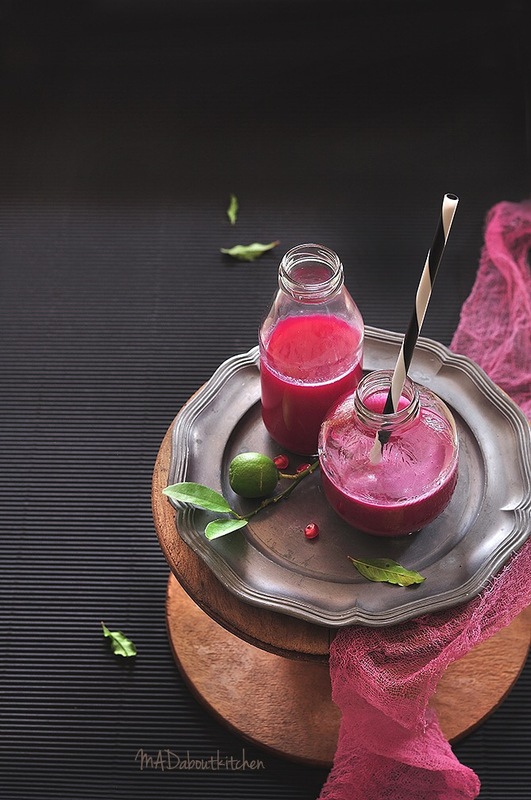 Beetroot is one of the best source of antioxidant. One of the best to be used for Detoxification. 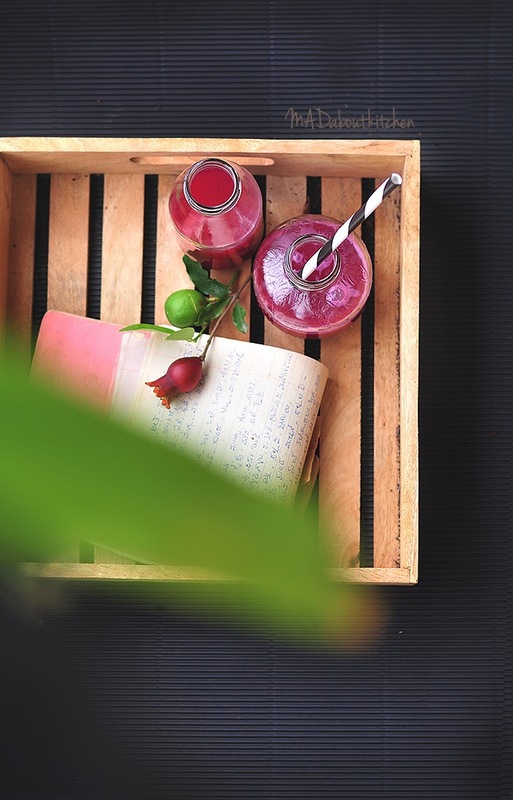 Fresh Beetroot is a powerful food for cleansing and supporting liver function. The green, leafy portion of the beet is also edible. The young leaves can be added raw to salads, while the adult leaves are made into stir fry along with lentils. 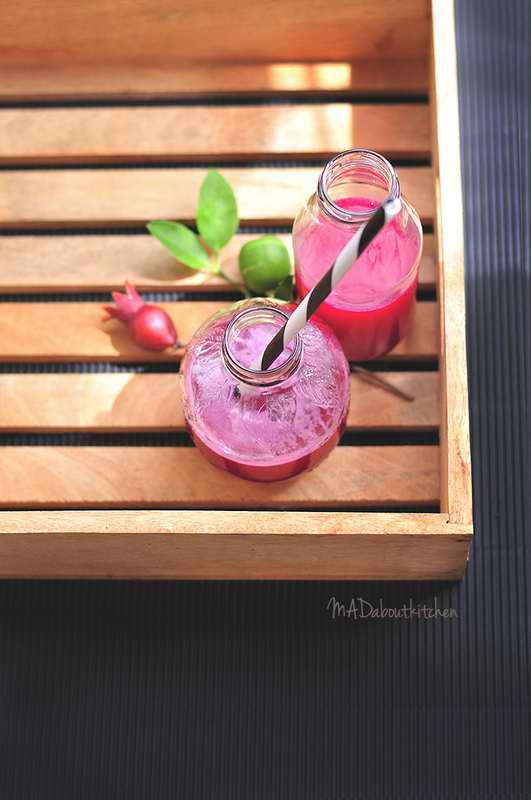 Apart from many many more health benefits, beetroot also adds vibrant colours to the food. 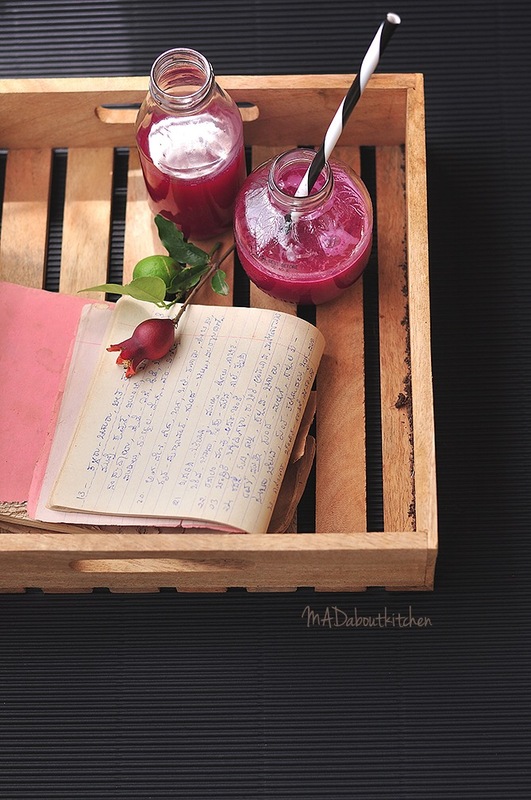 Beetroot is normally used in savoury dishes, but it being naturally very sweet, it is also used in sweet dishes. 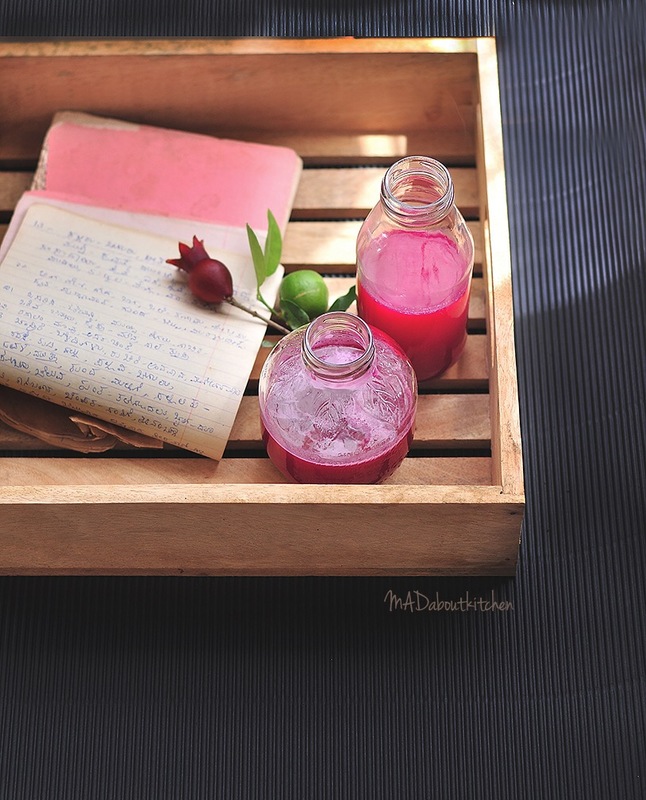 To start making the beetroot pomegranate lemonade, peel the beetroot and chop them into small cubes and put them in a blender jar. Add pomegranate seeds to it and squeeze the lemon juice and sugar to it. Blend it till smooth. Add 2 cups of water and churn ones more. Strain the juice and serve it chilled.